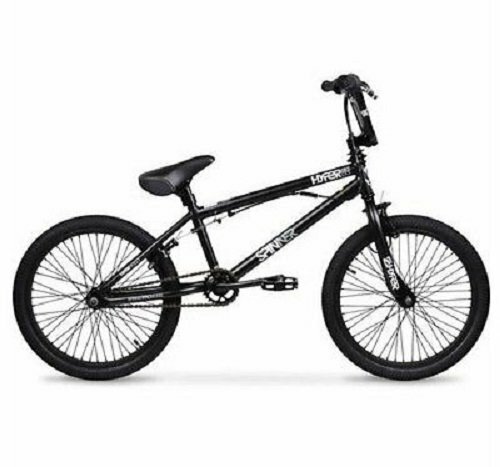 View basket “Tony Hawk Boy’s 720 Bike, Matte Black, 24-Inch” has been added to your basket. The 20-inch Hyper Spinner Pro BMX Bike comes with an alloy BMX pedal platform so the most exciting tricks can be performed in the parking lot or on the course. The micro-drive sprockets on the front and rear of the bike provide a smooth off-road ride. This 20-inch Hyper Spinner Pro BMX bike has a rotor on the front to allow 360-degree handlebar rotation allowing you to try even the most challenging stunts with more skill and confidence. 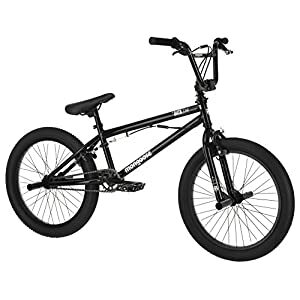 Decked out in an evil black paint job, the BMX experience has never been as enjoyable and remarkable as on this 20-inch Hyper Spinner Pro BMX bike. This boys’ 20-inch Hyper Spinner Pro BMX bike is built with a remarkably sturdy design making it perfect for inexperienced users just learning the tricks of dirt biking and the more experienced cyclist looking to improve his skill set. The standard multi-surface tires have superior versatility and provide a responsive and solid ride on all surfaces with enhanced control. 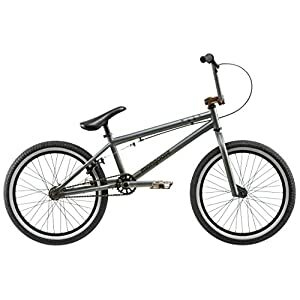 With a cost of only $105.02, it’s well worth the expenditure for even the most seasoned and competitive BMX biker. This 20-inch Hyper Spinner Pro BMX bike comes in either black or green. Some riders have found this bike to be too heavy unless the pegs, front brakes, and kickstand are removed. Some bikers have also expressed their dissatisfaction with a variety of parts like rear ball bearings, pedals, sprocket, and handlebars often breaking down in the middle of a manoeuvre or trick-making the BMX fall apart at the most inopportune time. This 20-inch Hyper Spinner Pro BMX bike is equipped with just 1-piece cranks. Overall, the 20-inch Hyper Spinner Pro BMX bike is a good value for the price of $105.02. It’s good looking and comfortable for any entry-level or experienced BMX cyclist. 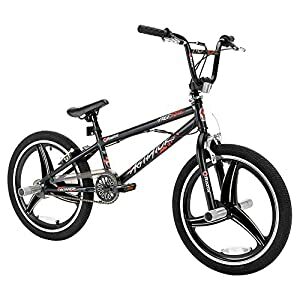 Its durability is questionable when compared to other BMX bikes in its class. The weight has to be reduced by the rider and the lack of the removed parts may adversely affect the rider’s performance in competitive BMX riding.